STEAM Academy is a comprehensive program for students to recover excused and unexcused absences. This program is tailored to reflect the curriculum that is offered during the regular school week. We want students to learn and enjoy their time while they participate, which is why our STEAM Academy is fun, interactive and challenging. Utilizing our STEM curriculum, students will be presented with Science, Technology, Engineering, Arts and Math-based learning, in an interdisciplinary and applied approach. STEAM Academy sessions begin at 8:15 am and end at 12:30 pm. This includes a 15-minute nutrition break. STEAM Academy sessions are taught by district teachers and supported by district classified staff. The STEAM Academy is a four-hour instructional program on Saturdays, including a short nutrition break. Those specific Saturdays are listed in our STEAM calendar. What schools offer the academy? All fourteen (14) schools are participating in STEAM Academy. 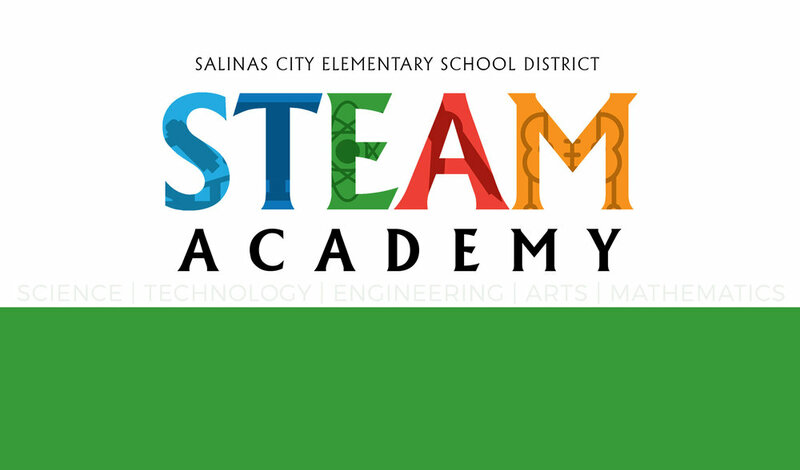 Four schools won’t begin STEAM Academy until Session Period 2: December 1st, 2018 (Natividad, Loma Vista, Los Padres and Sherwood). Students who want to make up an absence, can attend an alternate school site. See our calendar to find out when your school is having their session. Each STEAM Academy Saturday will have its own theme. Make sure to check with your school site for theme choices.